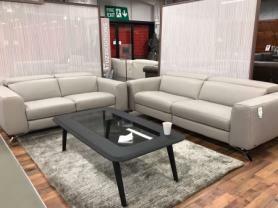 Natuzzi private label Darwin leather sofa's in beautiful thick Italian protecta leather made by Natuzzi group. The sofa's are extremly comfortable, high back for that extra comfort. Thick Italian protecta leather all over.